At Norm Reeves Honda Superstore Irvine, we pride ourselves on our ability to deliver exceptional service to drivers in Santa Ana, Tustin, and Rancho Santa Margarita when it’s time to buy a car. We strive for absolute customer satisfaction, and part of that satisfaction comes from our ability to work with drivers and get them the car that they want at the right price. You’re sure to find a great deal on your favorite Honda models here on our lot. When it’s time to seek out your next car, you’re probably casting a wide net to find the vehicle you want at varying price points across dealerships. We don’t blame you, because getting a great deal on their next car is what every driver looks for. Our Price Protection Guarantee states that if you can find the same new vehicle for less, within five days, Norm Reeves will pay you the difference or buy your vehicle back. It’s that simple. We want your car-buying experience to be fun, rewarding, and satisfying, and we want to give you peace of mind knowing you made the right decision to shop with us. Our Price Protection Guarantee is here to make sure that you get the best deal on your next vehicle. If you’ve already signed the deal and put some miles on your new Honda, and find it at a lower price within 5 days, let us know! We’ll pay you the difference, or buy your vehicle back! We want you to feel confident that you are getting a great deal when shopping at Norm Reeves. We want you to feel confident that you are getting a great deal when shopping at Norm Reeves. Ready to buy your next Honda in the Santa Ana, Tustin, and Rancho Santa Margarita areas? 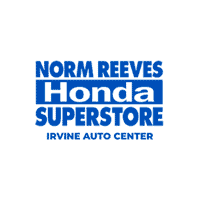 Look no further than Norm Reeves Honda Superstore Irvine. Know that when you shop here, you can buy with the peace of mind of our exclusive Price Protection Guarantee!